WE’RE THE BEST PROCESS SERVERS ON THE FRONT RANGE! Largest fleet of process servers on the front range. * This price could vary depending on difficulty and circumstances of serve (i.e., same day and cannot sub serve). * This price could vary depending on difficulty and circumstances of serve (i.e., same day serve and cannot sub serve). 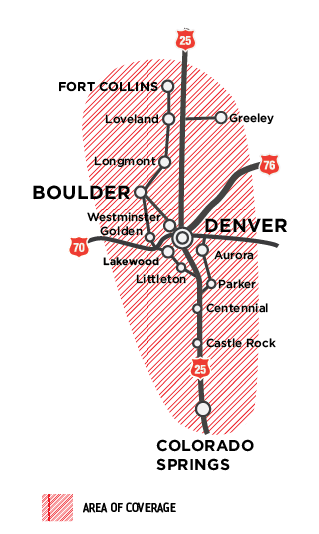 Any Serves South of C-470 Loop or North of Boulder Please Call For Pricing.